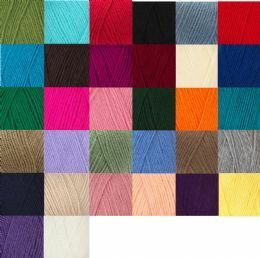 Ideal for all your knitting and crochet projects, great choice of colours. Same day dispatch up to 2pm. Postage cost £2.99 (UK) no matter how many balls you order (up to 2 kgs) and tracked.